Today my beloved Ghanaian Shito Sauce makes an appearance and this is going to be a major ingredient for our Spicy Chicken Wings. 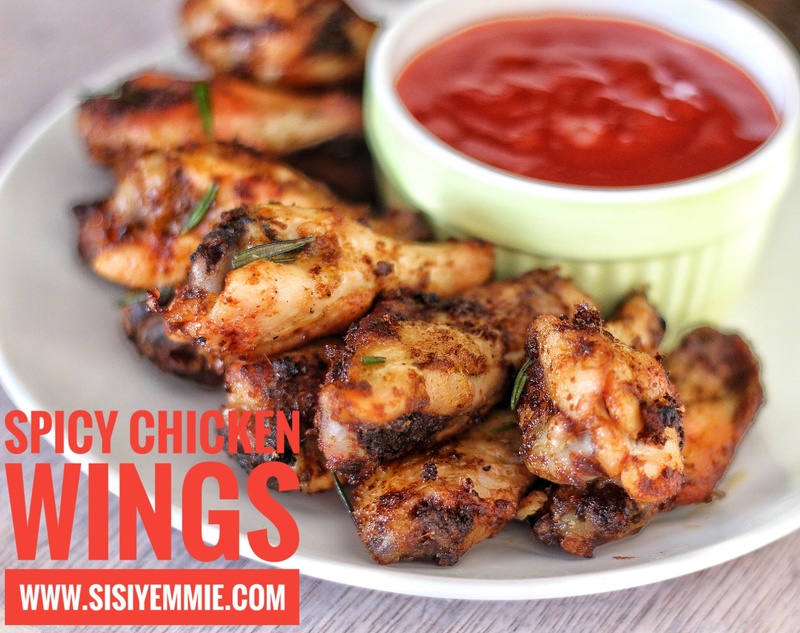 You can never have too many chicken wings recipe, I love how fast chicken wings cook, always perfect for entertaining guest. If you're interested in this recipe you can see the text below and also a video that demonstrates how it is done. Don't forget to SUBSCRIBE by clicking HERE so that all my recipes get sent to your inbox. Enjoy! Wash chicken wings and pat dry with a kitchen tissue. Using a spatula, mix it all till the chicken wins are coated. Place in a baking tray and put in a pre-heated over for 30 minutes at 350 degree . Using a tong, take out of the over and place in a bowl, add the shitto and combine till well coated. Place the wings back in the oven for another 5 minutes. Take the wings out and enjoy! Oooh FIRST! And as a Ghanaian woman - I am also pleased to see my beloved shito being used creatively in one of your recipes! This was such an delicious recipe spicy shito chicken wings and the way you describe its making is so easy and the ingredients are easily available even online store like Amazon promo code , this chicken wings is delicious and healthy also. I'd like to appreciate you sis Yemmie for a good job. Ma,can I use this recipe for BBQ chicken or chicken kebab? If not,can you help me with the recipe? Thank you. JUST ONE WORD FOR THIS---- YUMMIEE! !